Pablo Neruda was the pen name and, later, legal name of the Chilean writer and politician Neftal Ricardo Reyes Basoalto. Neruda assumed his pen name as a teenager, partly because it was in vogue, partly to hide his poetry from his father, a rigid man who wanted his son to have a "practical" occupation. Neruda's pen name was derived from Czech writer and poet Jan Neruda; Pablo is thought to be from Paul Verlaine. With his works translated into many languages, Pablo Neruda is considered one of the greatest and most influential poets of the 20th century. 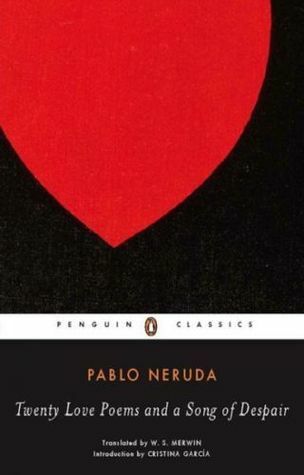 Neruda was accomplished in a variety of styles ranging from erotically charged love poems like his collection Twenty Poems of Love and a Song of Despair, surrealist poems, historical epics, and overtly political manifestos. In 1971 Neruda won the Nobel Prize for Literature, a controversial award because of his political activism. Colombian novelist Gabriel Garca Mrquez once called him "the greatest poet of the 20th century in any language." On July 15, 1945, at Pacaembu Stadium in So Paulo, Brazil, he read to 100,000 people in honor of Communist revolutionary leader Lus Carlos Prestes. When Neruda returned to Chile after his Nobel Prize acceptance speech, Salvador Allende invited him to read at the Estadio Nacional before 70,000 people. During his lifetime, Neruda occupied many diplomatic posts and served a stint as a senator for the Chilean Communist Party. When Conservative Chilean President Gonzlez Videla outlawed communism in Chile, a warrant was issued for Neruda's arrest. Friends hid him for months in a house basement in the Chilean port of Valparaso. Later, Neruda escaped into exile through a mountain pass near Maihue Lake into Argentina. Years later, Neruda was a close collaborator to socialist President Salvador Allende. Neruda was hospitalized with cancer at the time of the Chilean coup d'tat led by Augusto Pinochet. Three days after being hospitalized, Neruda died of heart failure. Already a legend in life, Neruda's death reverberated around the world. Pinochet had denied permission to transform Neruda's funeral into a public event. However, thousands of grieving Chileans disobeyed the curfew and crowded the streets to pay their respects. Neruda's funeral became the first public protest against the Chilean military dictatorship.